We challenged the amazing Kathy Martin to create something from a recycled item and boy did she ever. I have to say this is so clever and we were all so impressed. 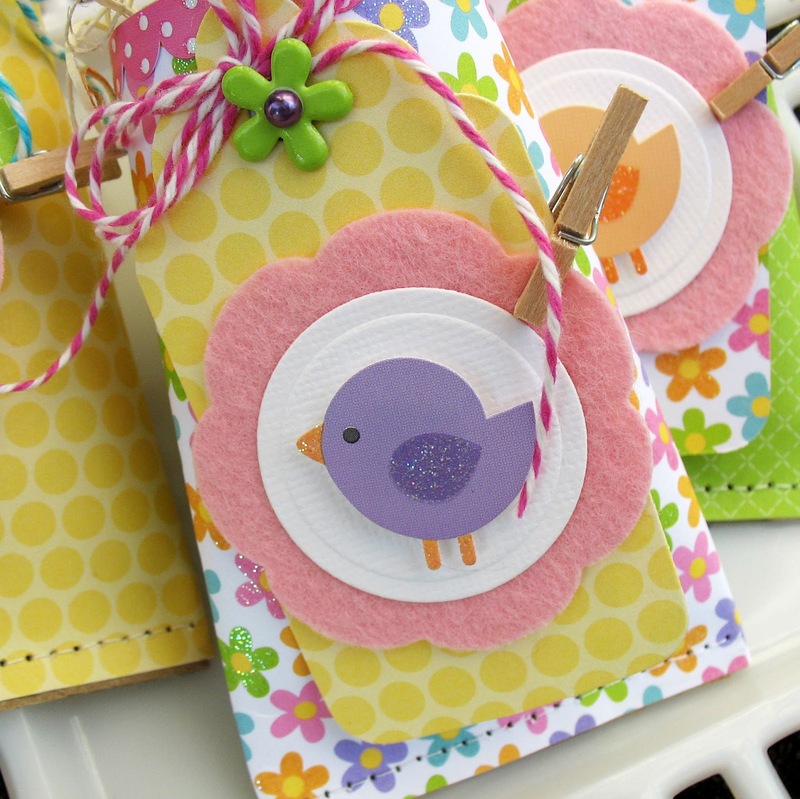 Combined with Doodlebug's Hello Spring Collection to create these adorable little treat holders. Too cute!! Learn more about Kathy Martin here. Absolutely ADORABLE! I'm loving all these recycled ideas! These are really cute. Any instructions in how they were made? What a great idea! They are CUTE indeed! Thanks for the inspiration. I am SO lifting this idea. Love it! Darling with the Doodlebug on them. Kathy... you have fairy hands!! I really love your idea, amazing! These are so adorable...I can't wait to try them. 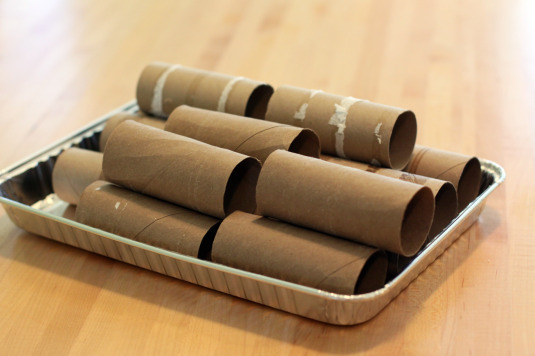 It will be a blast to try making some for other holidays and themes as well! 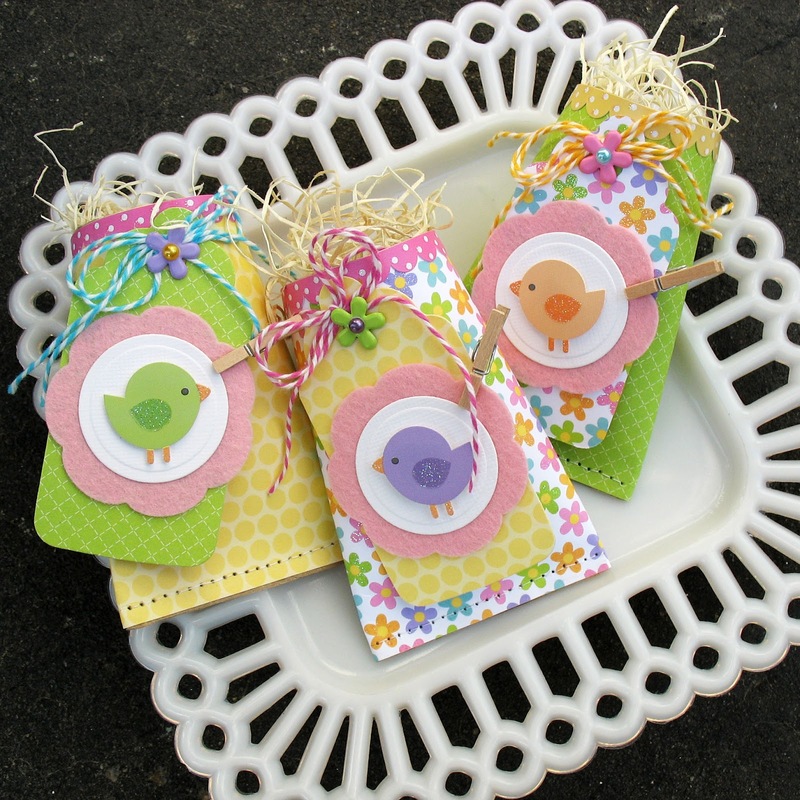 These sweet favour holders are wonderful! Love that spring collection. Clever recycled project and so cute. Love this idea! I found you on Pinterest and I'm featuring this as my pinterest pick at my Friday Favorites party this week! hi very nice blog and very nice information and so cool.These are so adorable...I can't wait to try them. It will be a blast to try making some for other holidays and themes as well!